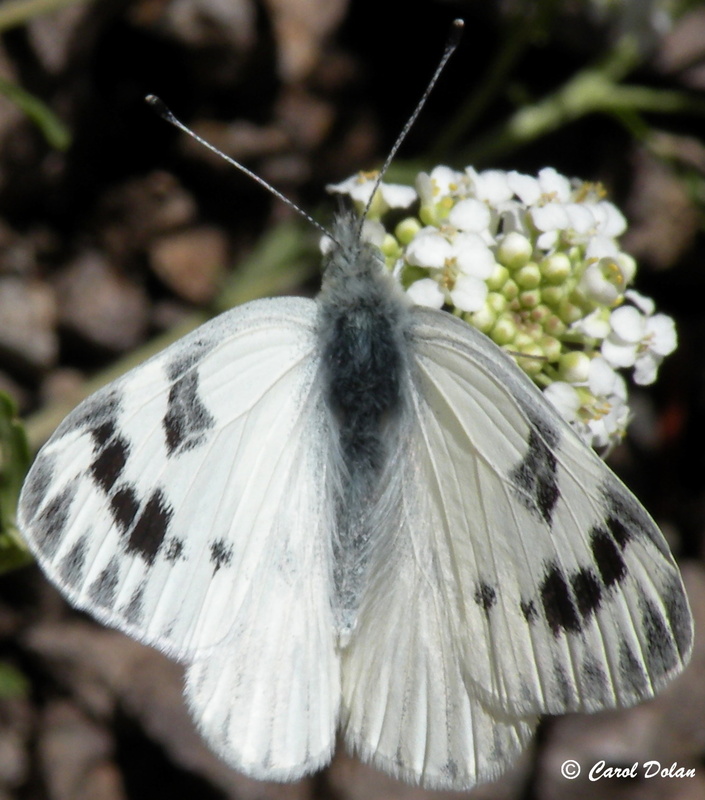 Identification: Upperside of forewing has marginal markings that are lighter than the submarginal stripe. Below, forewing tip and hindwing have veins outlined with gray-green. Short-day spring and fall forms have more prominent markings. Wing Span: 1 1/2 - 2 1/8 inches (3.8 - 5.3 cm). 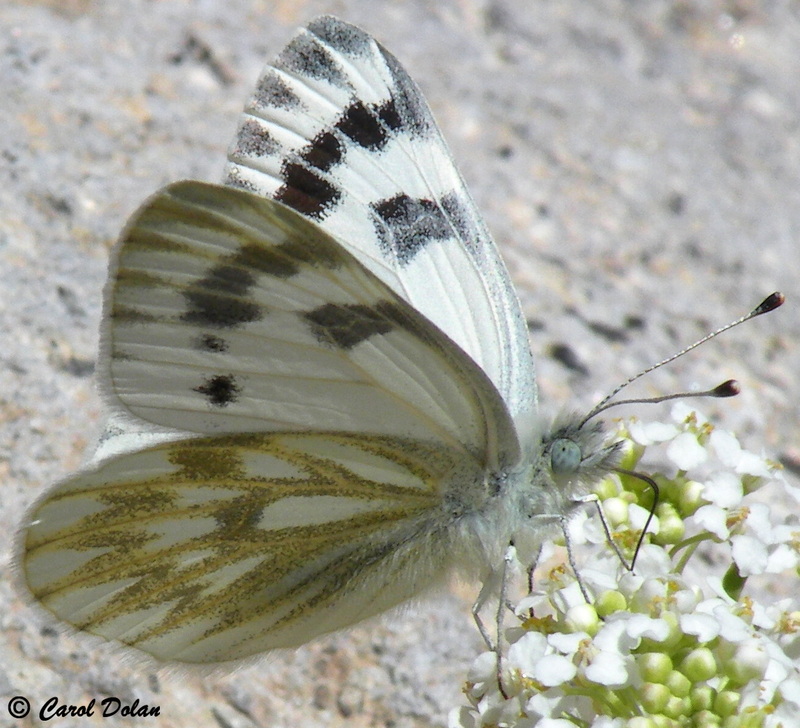 Life History: Males patrol hilltops and ridges for receptive females. Females lay eggs singly on host plants. Caterpillars will feed on leaves but prefer buds, flowers, and fruits. Chrysalids hibernate. Flight: One flight from June-July in far north; two flights from May-August in the south. Caterpillar Hosts: Flowers and fruits of various members of the mustard (Brassicaceae) family. Habitat: Mountain peaks, slopes, hilltops, railroad yards, open plains, roadsides. Range: Alaska south to central California, northern Arizona and northern New Mexico; east to North Dakota and central Ontario.